NORFOLK, Va. â Dec. 23, 2014 â The U.S. Navy and Northrop Grumman Corporation (NYSE:NOC) successfully flew the MQ-8C Fire Scout system for the first time off the guided-missile destroyer, USS Jason Dunham (DDG 109), Dec. 16, off the Virginia coast. After more than a year of land-based testing at Point Mugu, California, the MQ-8C Fire Scout grew its sea legs, making 22 takeoffs and 22 precision landings while being controlled from the ship's ground control station. 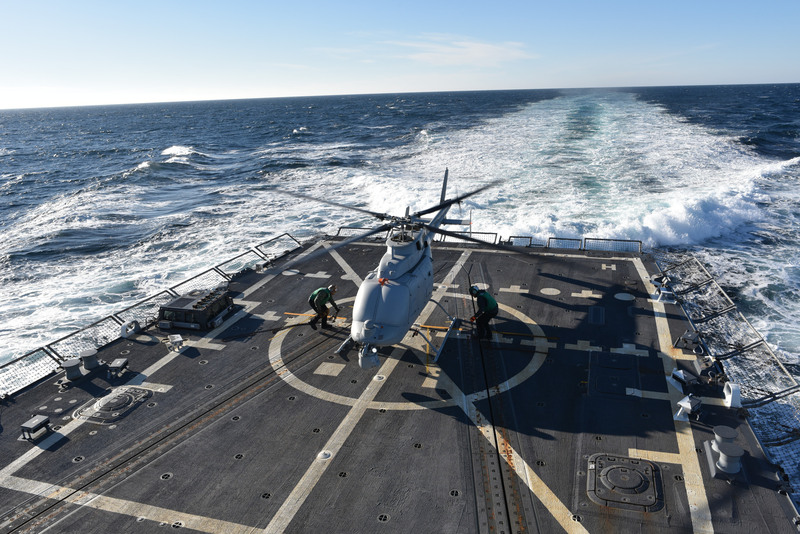 "The MQ-8C Fire Scout's flights from the USS Dunham represent a significant Navy milestone. 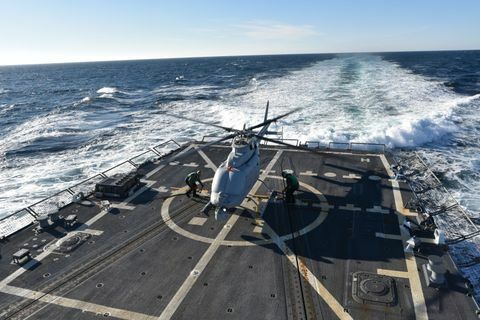 This is the first sea-based flight of the MQ-8C and the first time an unmanned helicopter has operated from a destroyer," said Capt. Jeff Dodge, Fire Scout program manager at Naval Air Systems Command. 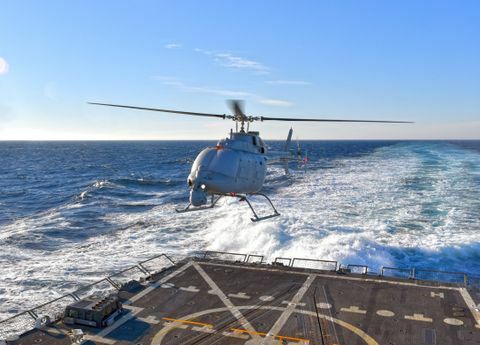 "The extended capabilities will offer the Navy a dynamic, multipurpose unmanned helicopter with increased endurance, allowing for our ship commanders and pilots to have a longer on station presence." "These dynamic interface tests are an essential part in clearing the operational envelope of the system and are proving the system's ability to operate off any air-capable ship," said George Vardoulakis, vice president for medium range tactical systems, Northrop Grumman Aerospace System. "We are on track to validate all of the critical performance parameters of this Navy asset and ready the system for deployment and operational use."